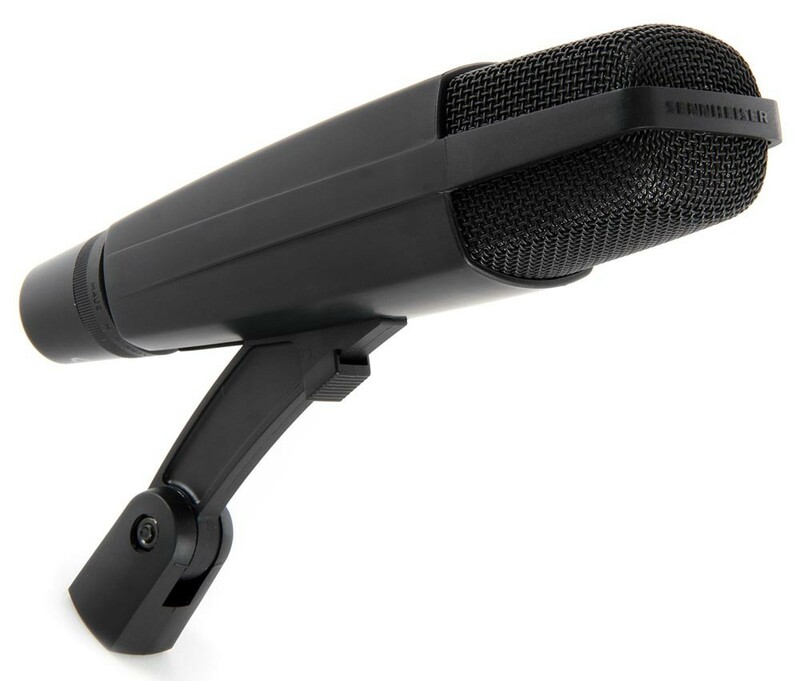 The best microphone for recording electric guitar may be one you have already: the Shure SM57. Many of the greatest guitar parts of all time were recorded with a SM57 up against an amp. 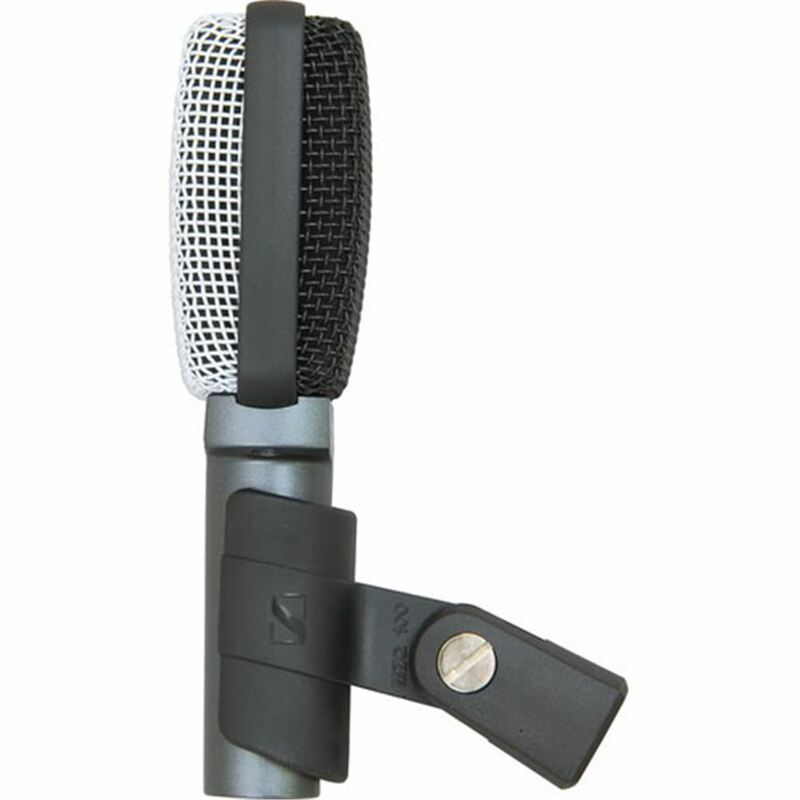 It works in various configurations, blended with other mics, and is extremely durable. If you need a great mic for electric guitar, which also performs other studio studio tasks equally well, the Shure SM57 is the one to get. Dimensions L x W x (D): 6.375 x 1.25"
There’s not a lot to say about the Shure SM57 in the world of music gear that hasn’t already been said. It just works, and has worked for decades on some of the biggest songs ever. It just sounds great miked up to a guitar cabinet. Play with different positions in relation to the speaker cone, watch YouTube videos or ask a mentor for various positions that could get you the sound you want. The Sennheiser MD421 II is also a universally well-regarded microphone and has a wide range of uses in the studio. We didn’t make this our main pick because (1) it is considerably more expensive, and (2) the extra expense doesn’t match with the perceived benefits over the SM57. Yes, it has a slightly better frequency response. If you are fighting harsh or brittle tones, this mic may give you the help you need. Expert reviewers have noted that the high end of the mic seems to be smoother, and the low end sounds a bit more well-rounded. Still, we love this mic at MSCGR. It will be one to add to our recording options in the near future. The Shure SM57 and Sennheiser MD421 II are very versatile mics and can be used in many other functions besides just electric guitar. But the Sennheiser Evolution E609 is built for the sole purpose of miking electric guitar amps. 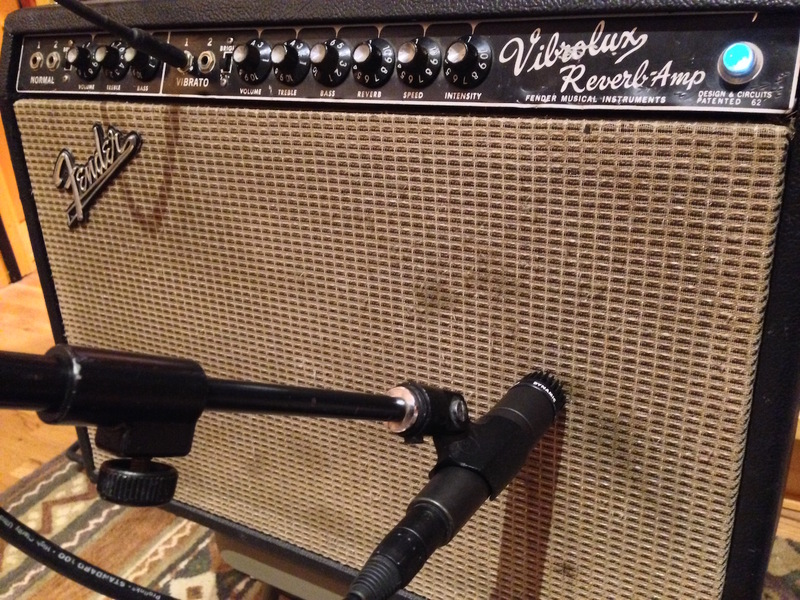 In fact, the flat front of the mic means you can just drape it directly over the amp using the cable itself. (See below.) This means one less mic stand to worry about. It also sounds great! We didn’t make this our main pick because, while it is the same $99 low(-ish) price as a SM57, it is far less useful in other miking situations. For the same money you can get excellent results with the 57, and continue to use the 57 for other things like drums, horns, strings, and even vocals. If you’ve already tried the SM57 and MD421 but still can’t find the right sound, give the Sennheiser Evolution E609 a try. All three of these microphones will give you killer electric guitar tone. Our main pick will be the best for most people. Plus, you can use it for drums, vocals and more. But in the event you have some special sound needs, either of the other two will take care of those problems with minimal effort. This mic is universally regarded near-equal to Shure's SM57. The MD421 has a wider frequency response and adds a little more color to the sound thanks to it's larger diaphragm. If (for some reason) you are looking for something other than the SM57, get this. It also performs well with other instruments like percussion and vocals. The Shure SM57 and Sennheiser MD421 II are very versatile mics and can be used in many other functions besides just electric guitar. However, the Evolution E609 is built for the sole purpose of micing electric guitar amps. In fact, the flat front of the mic means you can just hang the mic from the cable itself directly over the amp. This means one less mic stand to worry about. It also sounds great! If you've already tried the SM57 and MD421 but still can't find the right sound, give the Sennheiser Evolution E609 a try.